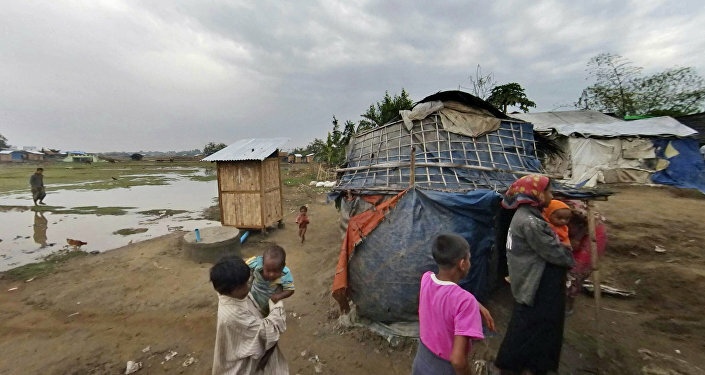 New Delhi (Sputnik) — India has decided to deport five Rohingyas to Myanmar, the second batch of Rohingyas living in detention camps in Assam, a state in India's northeast. They will be handed over to Myanmar authorities at Moreh, in the Tengnoupal district of Manipur later this week. "They are on their way," Bhaskar Jyoti Mahanta, Assam's additional director general of police (border) told Hindustan Times, confirming the repatriation of the five Rohingyas who are considered illegal immigrants and national security threat by the Indian government. In October 2018, India had handed over seven Rohingya Muslims to Myanmar after the Union Home Ministry ordered state authorities to identify and deport the illegal immigrants. India's Ministry of Home Affairs on 1 January informed the nation's parliament that at least 478 Rohingyas have been apprehended so far by India's Border Security Force since 2015.